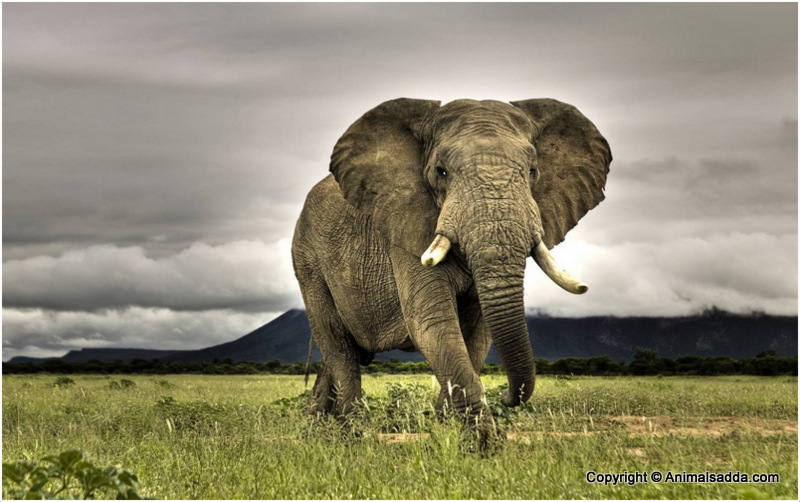 The African elephant is considered the largest land mammal on the entire planet. They are distinct from their Asian relatives by having larger ears that resemble the African continent; they are also slightly larger than the Asian elephants. Other characteristics include highly dexterous trunk and longer curved tusks. The trunk serves a number of purposes including smelling, breathing, trumpeting, drinking, and grabbing things as well. 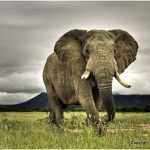 The largest elephant ever recorded was an African Elephant that weighed 10,886 kg and measured 3.96 m (13ft) in height from feet to shoulders. 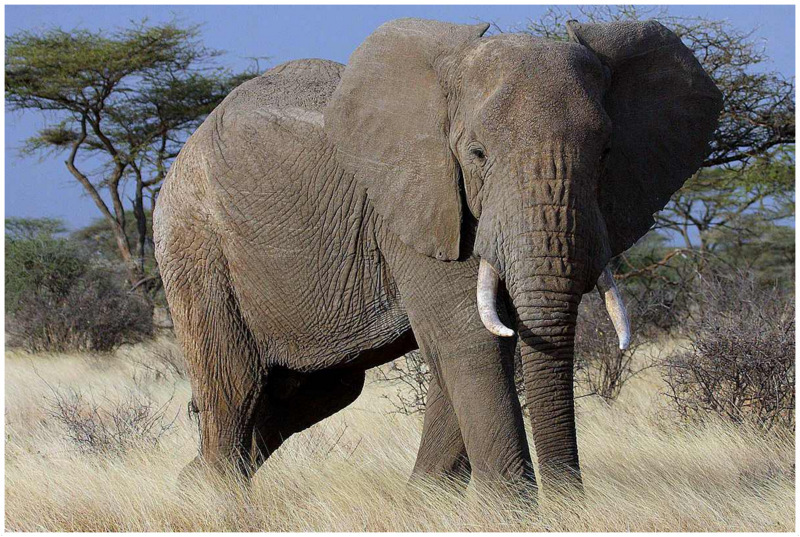 The African elephant is an herbivore implying, it feeds on grass, roots bark and fruits. They use their strong tusks when feeding by pulling the bark from trees and also dig roots out of the ground. 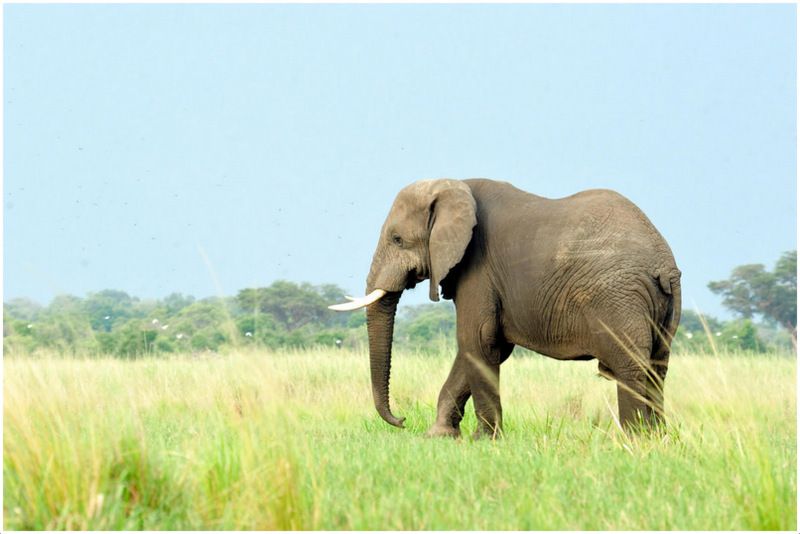 The planet’s largest land mammal has a huge appetite that matches its enormous size. 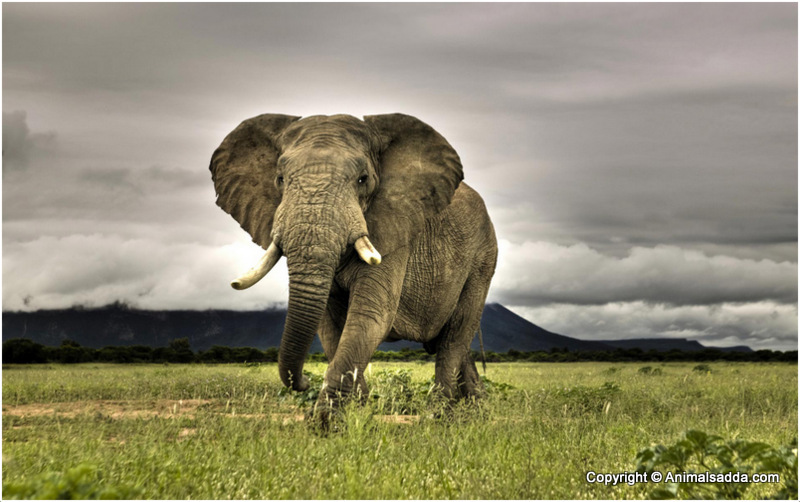 An adult African elephant can eat up to 136 kg (300 lbs) of food in just a day. 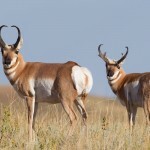 They also do not sleep much but instead roam around in long distances in search for greener pastures of larger quantities required in sustaining their sizes. 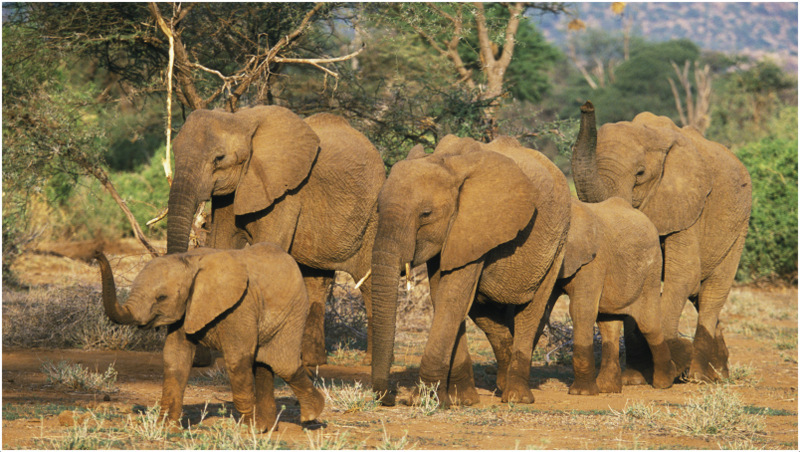 Elephants live in groups known as a Herd. 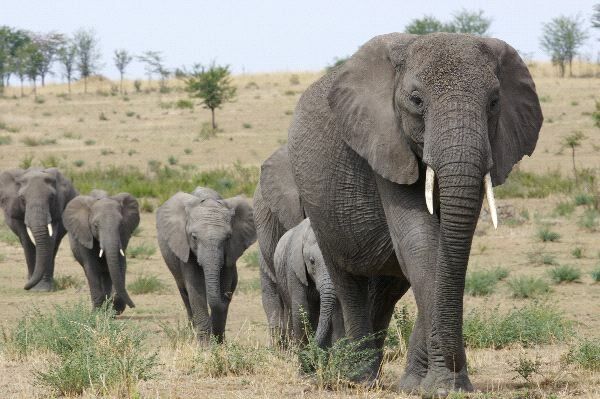 The herd is lead by a matriarch, the oldest female elephant (cow). The male elephants (bulls) however, tend to roam around on their own. They are guided by certain rules such as when meeting each other, they expect other elephants to extend their trunks in greeting. The matriarch teaches other elephants in the herd how to behave properly. Having a baby is a serious commitment for these mammals. Upon mating, the male elephant moves on to other herd leaving the female on a 22-months pregnancy period. When the baby (calf) is born, aunts, sisters, and cousins in the herd help raise the offspring. The offspring grows within the herd and when it is a male, it leaves the herd at the age of 14 years, the age of puberty in elephants. 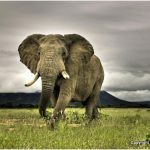 Unlike their Asian distant cousins, African elephants are not easily domesticated and they are found throughout the sub-Saharan Africa and also the rain forests of the Central and West Africa. A baby elephant (a calf) is born weighing up to 91 kg (200 lbs) and stands at about 1m (3ft) tall. The calf will gain 2 – 3 lbs of weight every single day until its first birthday and by the time they hit around 3 years, they become ready to be weaned. 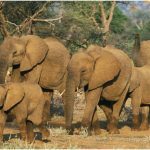 Elephants give birth once in 5 years and for ultimate survival, they protect their offspring with the aunts, sisters and cousins in the herd taking care of the calf. 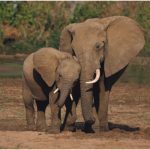 Despite the protection, this serves as a learning process for the young elephants on how to rear an offspring when they become parents in future. 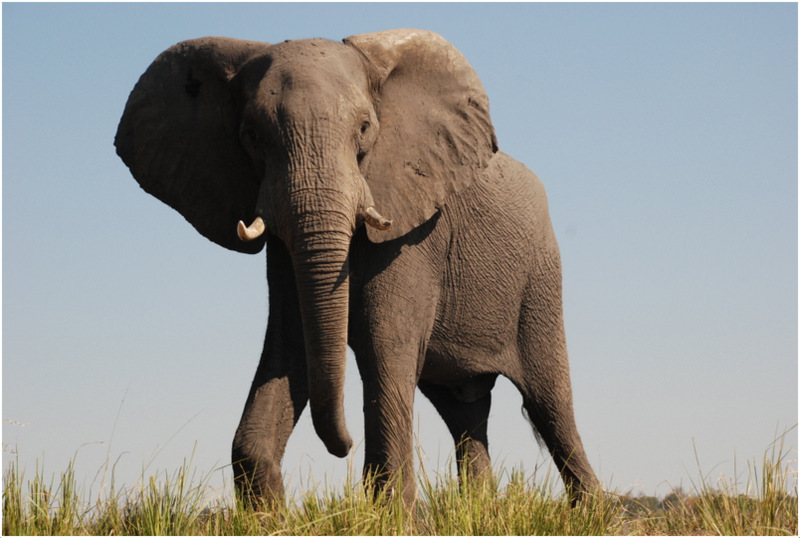 An African elephant body features each are designed for specific tasks relating to the elephant. 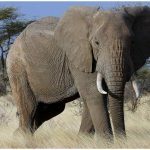 The trunk of the elephant serves many purposes; it is responsible for breathing and smelling (a function every nose in land mammals does), trumpeting, drinking and as mentioned, grabbing of things especially when feeding. At the end of the trunk are two finger-like features (only one in Asian elephants) used in grabbing small items. Both male and female have tusks, a modified form of canine teeth, which they use in digging for food and water and stripping the bark of the trees. The tusks serve as weapons too in battles with each other. Although tusks are present in baby elephants at birth, the baby tusks fall out after a year and then replaced by permanent ones. Communication is essential in all elephants as they rely on social networks for survival. 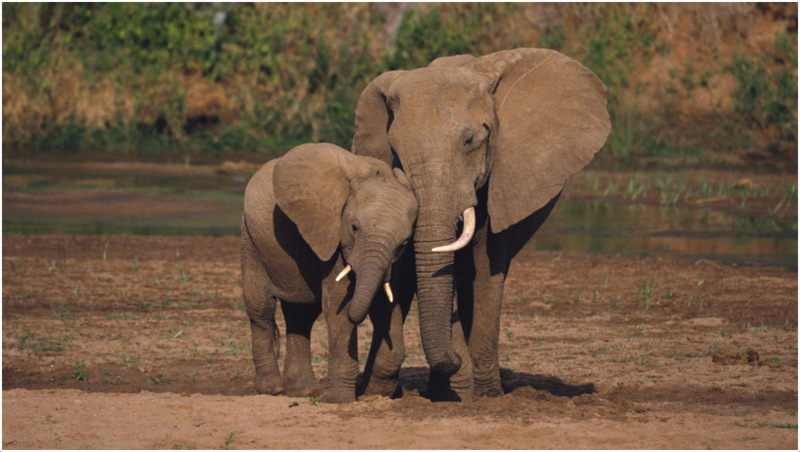 African elephants use their ears and trunks for communication. 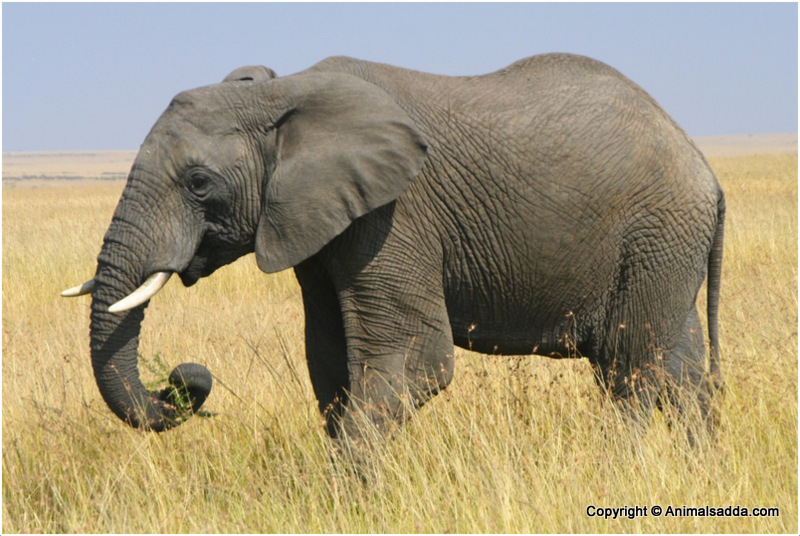 The elephants can make wide range of sounds essential for communication (10 octaves). Rumbling is also a form of communication. 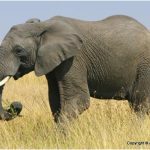 The elephant’s trunk communicates through trumpeting and an elephant is able to judge the distance of the other trumpeting elephant. 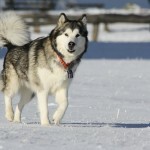 Communication is also enhanced through their ears. Rapid flapping of the elephant’s ears can suggest aggression or joy. 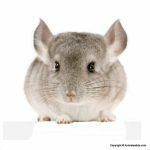 They use their ears to visually communicate with others. 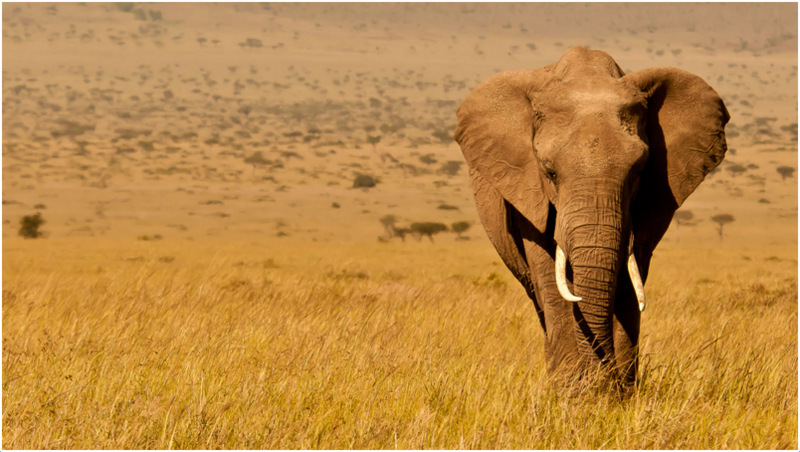 Their ears have also the ability of hearing other elephants communicate up to 10 km away under ideal conditions. After birth, elephants can live up to 70 years but others can go beyond their lifespan. 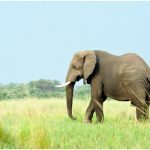 African elephants play a very important role in keeping ecological harmony; they ingest plants and fruits, walk for miles and excrete the seeds in a pile of fertile dung making new plants grow in different areas. 90 different species of plants rely on elephants for propagation. Additionally, through digging of holes using their tusks, elephants can expose underground springs allowing other animals to access water. 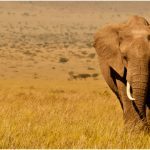 Although there are approximately 470,000 African elephants roaming around the sub-Saharan parts of the African continent, the species is endangered according to a range of reliable studies done on the elephants. 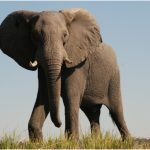 They are hunted down mainly due to their tusks that are seen as very valuable item within and beyond the African borders. 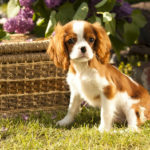 The other risk is the constantly changing climatic conditions that are unfavorable for their living conditions especially their sensitive skins. 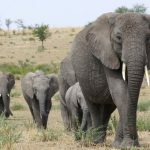 This calls for conservation measures aimed at protecting the African elephant to ensure their survival.